Freeze your products into ice at your next exhibition! This 1m tall tiered ice sculpture displays different products in each level intricately frozen to perfection. 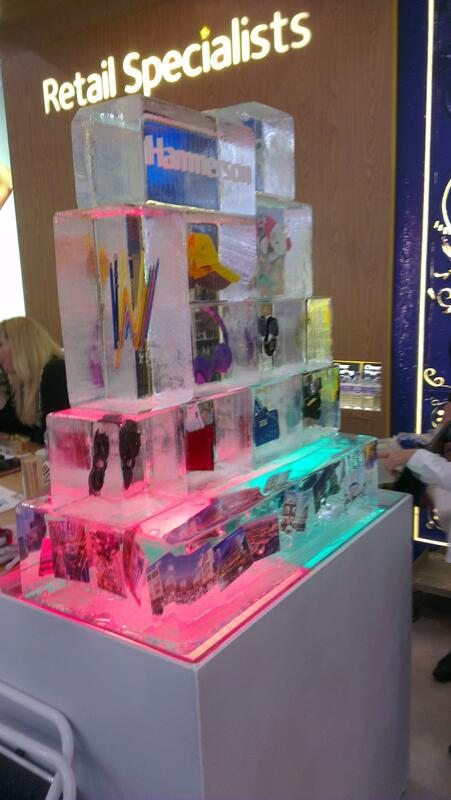 Make a statement at your next exhibition with products frozen into ice for excellent brand awareness.